Do you find there’s little time to reflect on God’s work in your story? Have you wondered whether your story can make a difference? Do you want to share parts of your story with others but don’t know how to begin? If you answered “yes” to any of the questions above, Sacred Story is ready to come alongside you! 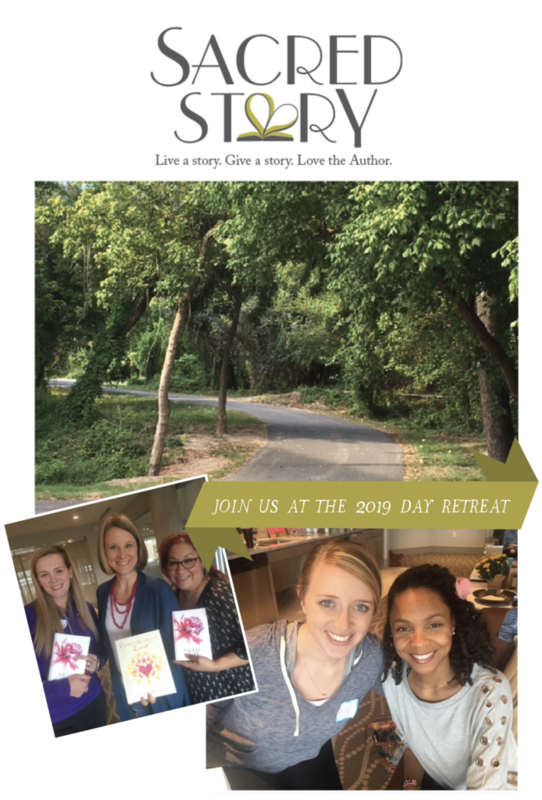 Join the founder, Laura Wilcox, and other sisters in Christ as we carve out sacred space for a day retreat on Saturday, April 27th to connect with each other and the Lord about chapters of our stories. We are praying the day retreat is more refreshing than a day at the spa as God massages new hope, strength, courage, faith, and friendship into our souls by . . .
All while laughing, having fun, and enjoying yummy eats! The cost to attend is $65 per person including a light breakfast and lunch. Scholarship funds are available so don’t let tight finances stop you. Your story matters so grab a gal pal and REGISTER NOW. Space is limited!